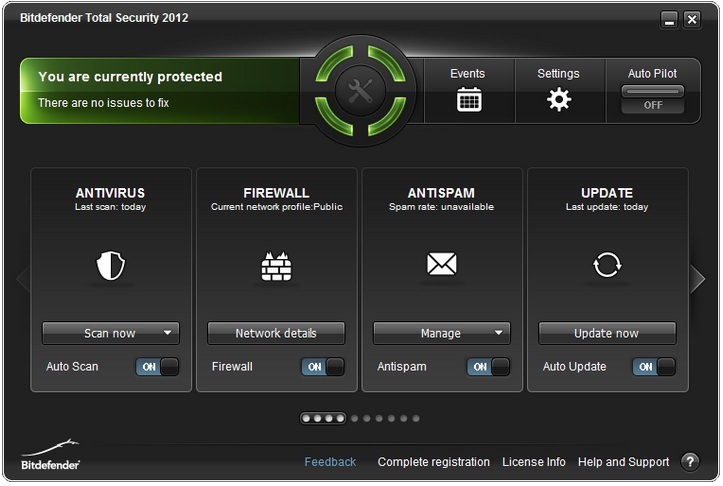 Bitdefender Total Security 2012 is a complete protection against malicious online activities. Bitdefender Total Security 2012 package includes protection from online fraud and identity theft, hackers and viruses, with file encryption software and auto-scanning technology updating automatically at least every hour. With all powerful features and continuous security, it avoids slowing down the Windows PC or interrupting game play. Normal price of Bitdefender Total Security 2012 is around 70$ per year. But for limited time, the company is offering the product free for 90 days. You can get Bitdefender Total Security 2012 absolutely FREE!! for 90 days.